ensuring the continuation of our efforts. Become a Matthews Museum member today! Our year ends on October 31, and payments for membership renewals are encouraged by November 30. New members joining from May 1 to October 31 will receive an additional full year of membership. All members will receive timely "Museum Musings" newsletters, either by email (preferred) or U.S. Mail. Help the Matthews Museum to improve forever. Give a gift membership to a friend, family member, or neighbor this year. We appreciate your tax-deductible donations to help us continue to offer exceptional educational experiences to our visitors year after year. Visit our Support page to donate online or download our mail-in form! Looking for a unique gift as well as a way to help the Matthews Museum? Check out the fun line of Moxie merchandise in our online Moxie Shop or at the Museum during our summer season. 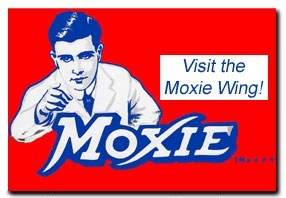 Share your love of Moxie while helping the Museum grow! 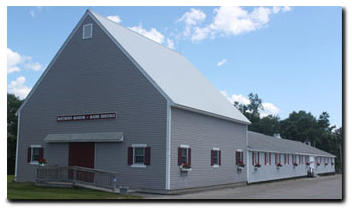 You can also support the Matthews Museum by shopping online through iGive.com. See our Support page to find out more!